The SF Archery Axiom+ riser is the perfect riser for the developing archer.The perfect eveolution from its predecessor with more lightness & balance. Definately the next step up if you are looking for a a riser that can handle a stronger poundage of limbs. someone from Southbourne bought this item recently. The new 25 inch Axiom Plus riser was inspired by the redesign of the new 23 inch, and includes all of the ingredients that made the original Axiom riser a global success. Qualities such as high specification materials allowing for the use of more powerful limbs, longevity and of course, affordable price are all carried over to the Axiom Plus. A great starter riser for the up and coming archer. The SF Axiom+ riser is an evolution of the first generation riser. Made from quality materials meaning you can use much stronger pundage limbs whilst ensuring the lifespan of the riser. 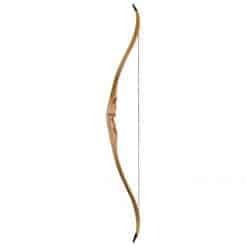 When shooting at our indoor archery range, our qualified bow technicans have said that the loss of 60 grams from the original riser is very noticable & feels very well balanced when compared to its predecessor. Features an integrated clicker extender and two cushion plunger positions allowing for the use of a screw-on arrow rest.